Shrink film is a widely used material for securing all types of products and objects in virtually every industrial sector. Because shrink film holds loads in place, it can be utilized to bundle, stabilize, unitize and protect an extremely wide range of products of all sizes, from the containers of electronic accessories to full palletainers and large industrial machinery. Jewelry firms often use opaque stretch wrap because it protects and also cloaks the value of the shipment. 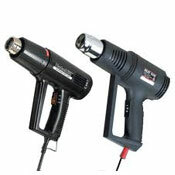 Usually used with specialized dispensers, shrink film delivers several advantages. It is extremely easy to use and can be molded to uniquely-shaped items and packages. It holds loads firmly, while at the same time, not cutting into individual items or corners. 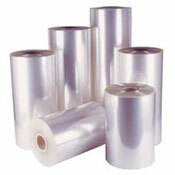 Often, shrink film is not shrunk enough to secure individual items in a package or the load itself. This causes unstable packaging. We provide rolls in a wide range of sizes. Several types of warming equipment are available.